A workshop for key One Health stakeholders in Tanzania has helped pave the way towards putting the One Health approach into practice in the country. Workshop participant and Livestock, Livelihoods and Health partner Dr Emmanuel Swai reports on the two-day retreat. The workshop was organised by the United Republic of Tanzania’s Prime Minister’s Office, Disaster Management Department (PMO-DMD) in collaboration with US agencies and other partners. It was attended by a delegation of Livestock, Livelihoods and Health (LLH) researchers, and participants representing the Tanzanian Ministry of Agriculture, Livestock and Fisheries (MALF), Tanzanian Ministry of Health, Community Development, Gender, Elder and Children (MoHCDGEC), the country office of the Food and Agriculture Organization of the UN (FAO), universities, research institutes, Tanzania Wildlife Research Institute (TAWIRI), Centers for Disease Control and Prevention (CDC), country offices of the World Health Organization (WHO), and regional and country offices of USAID-Preparedness & Response (USAID-P&R). 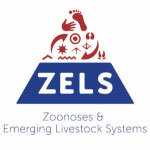 further sensitise key One Health stakeholders on the One Health approach and plan. The workshop started with opening remarks from the One Health Coordination Unit coordinator, Mr Harrison Chinyuka, followed by an official opening speech by PMO-DMD Director Brigadier Msuya, who thanked USAID-P&R for its efforts to ensure that Tanzania’s One Health Strategic Plan is successfully operationalised and implemented. He emphasised that the plan supports the realisation of Tanzanian’s vision of safeguarding the health of animals and humans and contributing to the broad vision of increasing economic growth. He noted that although working under a One Health platform/network is new to many individuals and institutions, Tanzania is at high risk of disease as it shares borders with eight countries that have reported disease transmission from animals to human and vice versa. In this regard, he underscored the importance of developing the One Health network/framework and conducting more One Health-related research. He urged the participants to unite their efforts to meet the objectives of the workshop. During the workshop, participants identified key activities to be conducted over the coming 90 days through group work and discussions. They also took ownership of the One Health plan to facilitate a smooth and coordinated implementation of activities. Dr Gabriel Shirima presents the three linked projects in the LLH programme. There were also poster presentations detailing current research initiatives on the ground and sharing preliminary research findings. 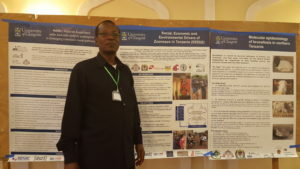 LLH’s Dr Gabriel Shirima (Nelson Mandela African Institution of Science and Technology) gave a poster presentation on the work of the LLH programme. Other LLH workshop participants included: Dr Blandina Mmbaga (Kilimanjaro Christian Research Institute), Julius Keyyu (TAWIRI) and Prof Rudovick Kazwala (Sokoine University of Agriculture). Incorporate suggestions made at the workshop and finalise the write-up of the strategic plan. Mainstream activities to be operationalised within the coming 90 days, in cooperation with USAID-P&R. Set an official ‘launch date’ in cooperation with USAID-P&R that will take on board high-level officials from the Tanzanian Government and other One Health stakeholders, including the donor community. Dr Emmanuel Swai is an epidemiologist at Tanzania’s Ministry of Agriculture, Livestock and Fisheries. It will be good to see the Tanzania One Health Unit operational, we need to move fast.